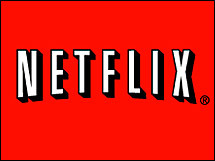 Netflix subscribers must opt-in to receive movies or television programs on Blu-ray Disc. This adds $1 per month to your bill. But this hasn’t stopped 700,000 subscribers from choosing to receive Blu-ray through Netflix. Besides adding three-quarters of a million dollars to the company’s bottom line, CEO Reed Hastings sees this as a good sign for the future of their disc-based business. While they are expending a lot of effort to make Netflix Watch Now streaming ubiquitous in consumer electronics devices, Hastings also sees the adoption of Blu-ray becoming widespread as player prices drop.